Award winning dog trainer Mathilde de Cagny developed a gentle and highly effective dog training and puppy training program for children based on respect and play. "I am not alone said the boy, I've got a puppy." Every child should have a dog but not every dog is right for each child and not every child is right for each dogs. The importance of finding the perfect match between dog and child is crucial, there are many details to take into consideration. Once the right fit is made, dogs can help teach children responsibility, patience, empathy and compassion. I create a profile for the dog or puppy that’s right for you and I help you evaluate the one you’re considering. Together we will find the perfect dog. After your dog is found I will help nourish a unique bond that will result in an amazing relationship in which they become each other's best friend and, at times, partner in crime. My program is based on teaching the children how to interact with their dog. 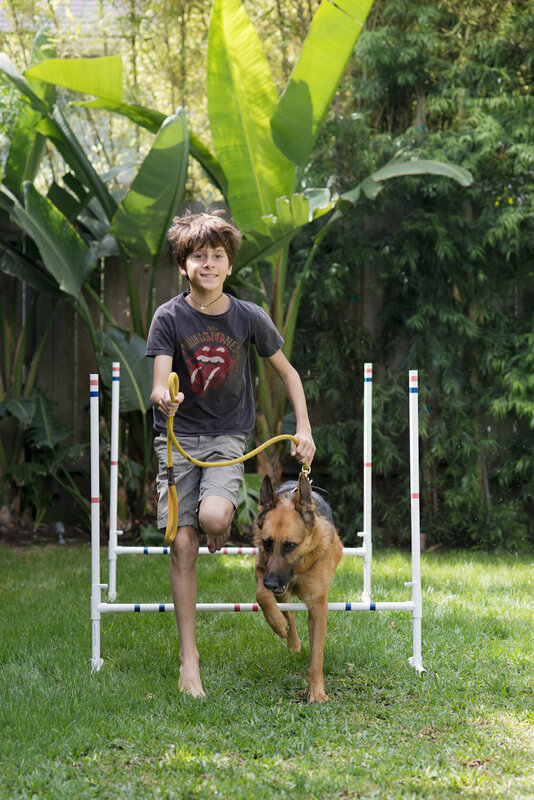 I implement fun games specific to the dog and your children’s needs that help develop their training skills. The goal is to engage the child and his dog in a respectful and positive way. The child becomes the "Gentle Leader".